While Africa holds myriad treasures of unsurpassed natural beauty, none is quite as breathtaking and majestic as Tanzania’s Tarangire Lake Manyara National Park. This untouched wilderness in northern Kenya is a slave to the seasons, where wildlife ebbs and flows like the tides. Teeming with game in the dry season and emptying out in the wet season, Tarangire tunes into the seasonal rhythms of wild Africa like nowhere else on earth. Clear blue cloudless skies, sun-baked dusty red earth and brittle, yellow grass create a parched oasis during the dry season. The shriveled Tarangire River is a shadow of its former ‘wet season’ self, however, it still teems with wandering nomads who have come in search of water. Creating a veritable smörgåsbord for predators, massive herds of elephant search the dry river bed for underground streams, while migratory antelope, buffalo, wildebeest, and zebra crowd the shrinking lagoons and over 550 species of birds flit around the water’s edge. 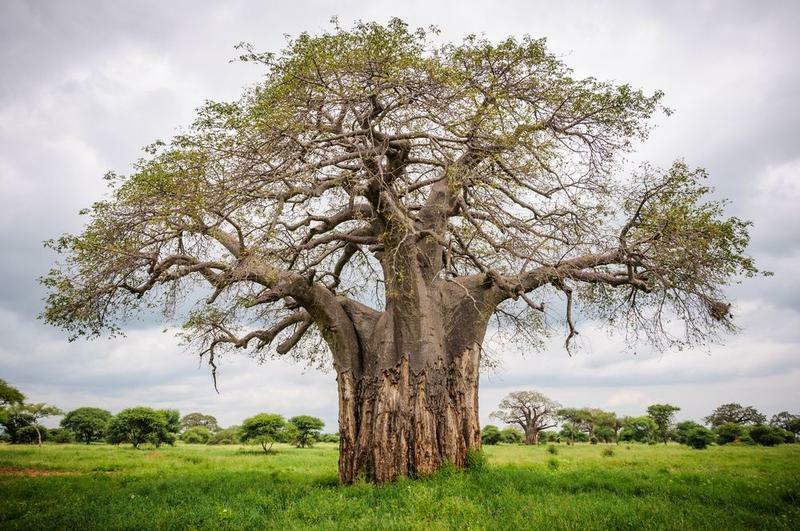 Evocative baobab-studded landscapes are dotted with disused termite mounds, and lion and leopard share shady tree branches with huge pythons. And come the short rainy season, and they’re gone…dispersing across the Maasai Steppe to pastures green in the ever-changing seasonal tune of Tarangire. Stretching along the base of the golden Rift Valley escarpment, Lake Manyara National Park is a melting pot of diverse habitats that are home to a variety of fauna and flora. Vast expanses of lush, jungle-like groundwater forest stir with the movement of monkeys between the ancient mahogany trees and dainty bushbuck wander wearily through the shadows, while huge forest hornbills honk in the high canopy. In stark contrast to the protected forest is the vast grassy floodplain, teeming with buffalo, wildebeest and zebra herds, and offering endless views across the alkaline lake, to the ragged volcanic peaks that rise from the endless Maasai Steppes. The shores of Lake Manyara are encrusted with pink flamingos, pelicans, cormorants, and storks, while bloats of hippo snort and yawn in the shallows. Venture into this wildlife wonderland with Africa Exclusive, on a tailor-made safari adventure, to experience Kenya as never before.